There is nothing illegal or unethical about an administration being so heavily staffed and influenced by individuals who are affiliated with a single organization. However, the American people deserve to be fully informed about any organization that has assumed such a central role in shaping policies and determining appointees for the Bush administration. Contrary to the charges of Federalist Society members, there is nothing inappropriate or McCarthyite about such an effort to inform the public. Indeed, if the organization in question were People For the American Way, it’s a safe bet that Federalist Society members themselves would be vigorously arguing that Americans should closely examine the values and goals that guide the organization. To better inform the public debate, this report explores the Federalist Society and its members and allies-examining their legal and policy objectives, their prevailing philosophy, as well as the kind of impact they could have through their influence within and outside the Bush administration on the law, the courts, the Constitution and ordinary citizens. Founded in 1982 by students at the Yale and University of Chicago law schools, the Federalist Society was initially nurtured by law professors such as Robert Bork and Antonin Scalia.9 The Society served as a meeting ground for those who felt out of step with the perceived liberal bent of their schools’ curriculum. To this day, the Society continues to attract lawyers, scholars and elected officials whose opinions closely parallel the right-wing views of Bork, Scalia, and Supreme Court Justice Clarence Thomas. The Federalist Society is governed by a board of directors co-chaired by Steven Calabresi and David McIntosh, both of whom have strong ultra-conservative credentials. As a Yale law student, Calabresi founded one of the first Society chapters. 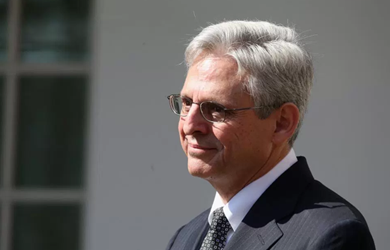 Upon graduation, he went on to clerk for both Robert Bork at the U.S. Court of Appeals for the District of Columbia Circuit and for Supreme Court Justice Antonin Scalia. He also served as a special assistant to Reagan Attorney General Edwin Meese III and as a speechwriter for Vice President Dan Quayle. The Scaife Foundation has also funded the Federalist Society, along with a long list of other right-wing efforts. These include the American Spectator and its “Arkansas Project”-a $2.4 million campaign to gather information for the expressed purpose of discrediting former President Bill Clinton and potentially forcing him out of office. The Society’s constitutional law reading list is similarly revealing and is introduced with this glib pronouncement: “There are two kinds of constitutional lawyers: those who take the text of the Constitution seriously, and those who don’t. Much of what is wrong with the American polity today is traceable, directly or indirectly, to the latter, who greatly outnumber the former.”42 Four names account for more than half of the individually authored recommended books and articles on this reading list: Bork, Scalia, Richard A. Epstein and Lino Graglia. What are their views on constitutional freedoms and civil rights? The Society’s “Journalist’s Guide to Legal Experts”-a Web site inventory of attorneys and scholars to whom the organization steers the news media-offers additional evidence of the group’s overriding right-wing philosophy. While the Society’s Web site points out that the views of these experts are their own, it also makes quite clear that the Society promotes them as espousing conservative and libertarian philosophies. Although conservatives and libertarians across the country hold differing views on many of the subjects listed, the views of those recommended by the Society on a number of specific controversial issues are strikingly uniform. In the face of clear evidence of the Federalist Society’s pervasive ideological bent, Volokh and other spokespersons expect us to believe that the organization has no desire to convert its ideology into legislative, judicial or political action. Volokh has claimed that the Society’s charter “is to create discussion, not to lobby,” and Assistant U.S. Attorney General and Society member Viet Dinh has described the organization merely as “a forum for discussion of law and public policy from both sides.”76 Although the Federalist Society does sponsor debates and does not lobby or file briefs in the mold of a traditional advocacy organization, it is evident that the Society does aggressively promote its ideological point of view. The Federalist Society’s overall methods were best captured by its own executive director, Eugene Meyer, in a 1996 guest editorial in a Heritage Foundation publication. Meyer wrote that his organization “has built a network designed to overcome legal abuses and to return America to a legal system which operates according to the design of the founders.”25 Through this network of right-wing lawyers, government officials, scholars and judges, the Society seeks to fundamentally remake the American legal system. Activities by the Federalist Society and some of its prominent members on such subjects as congressional authority and civil rights reveal the scope of the changes the group seeks to bring about in America’s legal landscape. As its name suggests, the organization warmly embraces its version of the concept of “federalism”-limiting federal authority to areas such as national defense and ceding most powers to states and localities. While many Americans respect the right of state and local governments to make certain decisions, leading members of the Society take federalism to an extreme by seeking to block the ability of the federal government to enact and enforce laws protecting the environment, civil rights, workplace health and safety, and other areas. Many of those who hold key leadership positions in the Federalist Society have campaigned to dramatically undermine civil and constitutional rights protections. Many of these leaders help oversee the Society’s practice groups on civil rights and constitutional liberties. The writings, speeches or activities of Federalist Society members often set the stage for broader action by those on the right. As an illustration, consider President George W. Bush’s recent announcement ending the role of the nonpartisan American Bar Association in reviewing the qualifications of potential judicial nominees for the federal courts prior to their nomination. Actions taken several years ago by Society members helped to encourage President Bush’s decision to terminate the ABA’s nearly half-century-old service. Since the Eisenhower administration, the ABA has provided an important service to presidents of both parties and the nation by vetting the qualifications of those under consideration for lifetime appointment to the federal judiciary. Long after Hatch’s 1997 announcement, the Federalist Society stayed on the attack, constantly raising concerns about the ABA-frequently voicing allegations (“Critics have charged that the ABA’s recent…”) as if the Society were simply a neutral observer.42 In January 2000, the Society began its ABA “voter guide” project, reporting on the issue positions of candidates for ABA’s top offices.114 The unceasing attacks and pressure that Society and other right-wing groups used to sully the ABA’s image were instrumental in encouraging and providing “cover” for President Bush’s decision to end the ABA’s pre-nomination review. 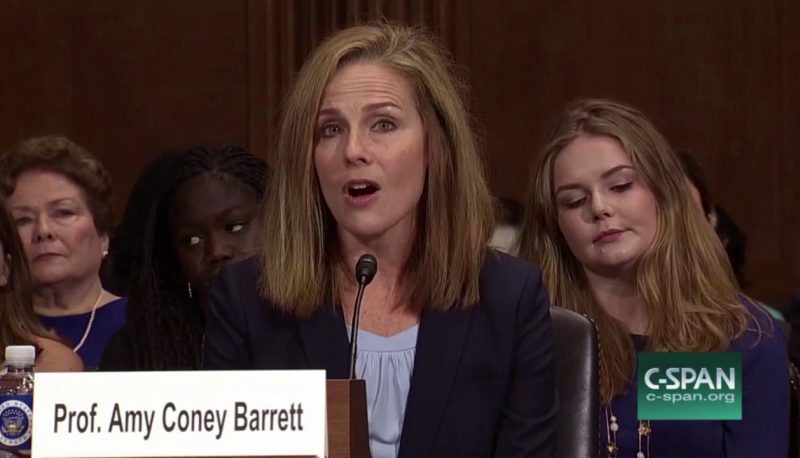 In fact, the recommendation to eliminate the ABA role came directly from the White House counsel’s office, which is heavily staffed by Federalist Society members. During the Reagan years, the Society was just beginning to hit its stride. 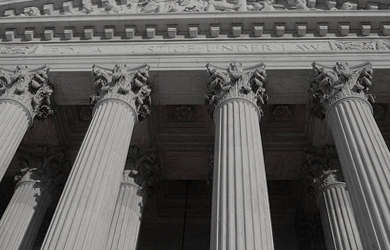 Today, the organization has a sophisticated network that gives it major influence in shaping important policy decisions and filling top positions in government and on the courts. Federalist Society members today hold key positions in the Justice Department and the White House with direct responsibility for selecting federal judicial nominees. These include Attorney General John Ashcroft, Assistant Attorney General Viet Dinh, Deputy White House Counsel Tim Flanigan, and Associate White House Counsel Brett Kavanaugh. In addition to the large number of vacancies in the U.S. Courts of Appeals, we are now in the longest interval between Supreme Court vacancies in 178 years. For this reason, most court-watchers expect President Bush will have an opportunity to appoint one or more Supreme Court justices over the remaining years of his administration. Filling just the current and projected vacancies on the federal courts over the next four years with right-wing judges in the mold of Clarence Thomas and Antonin Scalia would fundamentally alter the entire federal judiciary and endanger bedrock constitutional and civil rights throughout the country for decades to come. As People For the American Way Foundation extensively documented in its 2000 report, Courting Disaster, a Supreme Court majority that shared the views of Justices Scalia and Thomas-and the Federalist Society-would put at grave risk many of the most fundamental rights and liberties that Americans have come to take for granted. A Scalia-Thomas Court could overturn more than 100 key precedents protecting a wide range of civil and constitutional rights. Given that one out of three decisions in the most recent term of the Supreme Court were decided by 5-4 votes, future nominees will play a pivotal role.122 In short, a Scalia-Thomas majority could overturn, in whole or in part, Supreme Court precedents on the right to privacy, reproductive freedom, civil rights, religious liberties, environmental protection, worker and consumer rights, and many other fundamental rights. James Piereson, executive director of the right-wing John M. Olin Foundation, recently assessed the progress of groups such as the Federalist Society. “While Reagan was conservative,” Piereson said, “he didn’t have this network to turn to when he was filling jobs. It is satisfying to see all these Federalist Society members in the White House.”123 And those Society members have been hard at work, laying the groundwork for appointments that could dramatically reshape the federal judiciary. Instead of lobbying or advocating in a very public and traditional manner, the Society is now working from powerful positions within the White House, the Justice Department and throughout the Bush administration. The Society’s ambitions are not only to drive the nation’s legal policies far to the right, but to lock in these changes for decades to come by controlling appointments to the federal court system. C. Boyden Gray, a Society member who served as White House counsel under Bush’s father, has encouraged the younger Bush to use nominations for lifetime appointments to the federal courts to help create a legacy for his administration. “A president can put his or her stamp on the judiciary for a lot longer than he or she can the executive branch,” said Gray.4 Indeed, he can-and if the Federalist Society has its way, President Bush will. It’s true that Federalist Society members, like all other Americans, have the constitutionally protected right to hold and express their own views and to join together with like-minded people in pursuit of shared goals. But it’s also true that ideas have consequences. And the consequences of the ideas that leaders of the Federalist Society are promoting for the courts and the nation would be disastrous for Americans’ fundamental rights. Michael Carvin, former Assistant Deputy Attorney General in the Justice Department under President Reagan. Grover Rees III, special assistant for judicial selection under former Attorney General Edwin Meese. David Sentelle, protégé of Sen. Jesse Helms who was appointed to the Special Division, the three judge panel responsible for overseeing the investigations of the Independent Counsel by Chief Justice William Rehnquist.